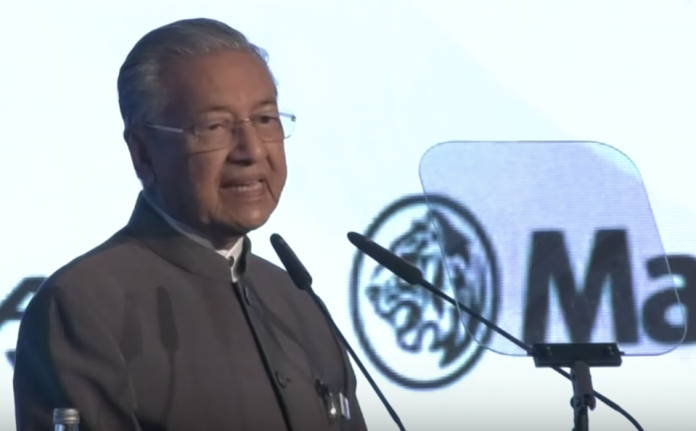 Kuala Lumpur – Malaysian Prime Minister Mahathir Mohammad has assured international investors that China and Singapore will always remain the country’s key trade partners regardless of international disputes. His assurance was part of his keynote address at the 15th edition of the Invest Malaysia 2019 forum that was held on Mar 19. The two-day event is the first Invest Malaysia edition held under the current Pakatan Harapan (PH) government. It is thus the ideal platform to share Malaysia’s new agenda and ambitions, says newly-elected Bursa Malaysia CEO Datuk Muhamad Umar Swift who expects the participation of over 1,000 local, and foreign managers. For Mahathir, water, airspace and maritime disputes are not obstacles to economic relations between Malaysia, Singapore, and China. “We may have differences of views — as with Singapore and China — but let me tell you we see them as close partners. They are our top two trading and investment partners,” says Mahathir, who promised his country’s continued commitment to trade with key partners. Airspace disputes are also in the middle of negotiations between the two countries’ transport ministers while the maritime issue is currently at a stalemate with Singapore’s Ministry of Foreign Affairs giving Malaysian vessels free pass in the contested waters. In the case of China, Malaysian economic affairs minister Azmin Ali had on Jan 26 unexpectedly announced the termination of the RM80 billion (S$26.5 billion) East Coast Rail Link (ECRL) project which Mahathir will only allow to continue if developers agree to lower costs. Bilateral talks are ongoing, with the former expecting to close the deal by mid-2019.